Penaeid prawns were sampled with a small seine net to test whether catches of postlarvae and juveniles in seagrass were affected by the distance of the seagrass (mainly Zostera capricorni) from mangroves and the density of the seagrass in a subtropical marine embayment. Sampling was replicated on the western and eastern sides of Moreton Bay, Queensland, Australia. Information on catches was combined with broad-scale spatial information on the distribution of habitats to estimate the contribution of four different categories of habitat (proximal dense seagrass, distal dense seagrass, proximal sparse seagrass, distal sparse seagrass) to the overall population of small prawns in these regions of Moreton Bay. 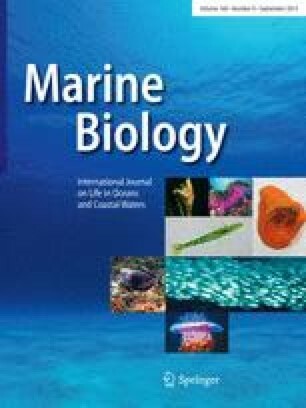 The abundance of Penaeus plebejus and Metapenaeus bennettae was significantly and consistently greater in dense seagrass proximal to mangroves than in other types of habitat. Additionally, sparse seagrass close to mangroves supported more of these species than dense seagrass farther away, indicating that the role of spatial arrangement of habitats was more important than the effects of structural complexity alone. In contrast, the abundance of P. esculentus tended to be greatest in sparse seagrass distal from mangroves compared with the other habitats. The scaling up of the results from different seagrass types suggests that proximal seagrass beds on both sides of Moreton Bay provide by far the greatest contribution of juvenile M. bennettae and P. plebejus to the overall populations in the Bay. This work was funded by the Fisheries Research and Development Corporation, Project 2001/023, to GAS and NRL. The research was conducted under Animal Ethics Approval Zoo/Ent/383/03/FRDC. We would like to thank R. Baynes, T. Boggon, B. Cameron, A. Fargher, W. Holtzhauer, T. Lavery, M. Olds, M. Patenaude, J. Rueda, I. Shaw-McGill, J. Toon, and S. Walker for assistance with field sampling and B. Cameron, J. Toon, and S. Walker for assistance with laboratory work. The manuscript was improved by constructive comments from Kate Skilleter, Rob Kenyon, and three anonymous reviewers.